Season 10 has been greenlit for the Emmy Award-winning animated series, The Fairly OddParents. 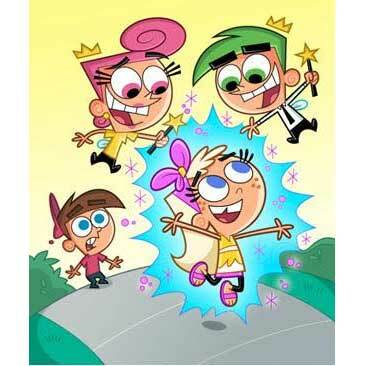 The show follows the magical adventures of 10-year-old Timmy Turner and his well-meaning fairy godparents who grant him wishes. The announcement was made today by Russell Hicks, President, Content Development and Production. The Fairly OddParents, created and executive produced by Nickelodeon hit-maker Butch Hartman, is the network’s third longest running animated series behind worldwide hits SpongeBob SquarePants and Dora the Explorer. “As one of Nickelodeon’s most successful and longstanding series, this renewal of The Fairly OddParents is a promise to our loyal and ever-growing fans that we will continue the adventures, magic and fun,” said Hicks. The 13 half-hour episode order continues the comedic adventures of Timmy Turner, who overcomes typical kid obstacles with the help of his wand-wielding wish-granting fairy godparents, Cosmo and Wanda. Joining the cast of characters is Chloe Carmichael, an enthusiastic, funny and over-achieving little girl who Timmy will have to share his fairies with. Well-intentioned, she wants to make the world a better place, but comically goes too far sometimes. With her and Timmy both being able to make wishes – the series will be wackier than ever. The animated series cast includes Tara Strong (Ultimate Spider-Man) as Timmy Turner, Susanne Blakeslee (Shrek the Third) as Wanda, Daran Norris (T.U.F.F. Puppy) as Cosmo, Grey Griffin (T.U.F.F. Puppy) as Vicky, Carlos Alazraqui (Happy Feet) as Mr. Crocker and Matt Taylor (South Park, Open Season) as Sparky. Hartman began his animation career as an assistant animator on An American Tail. He created his own shorts for What a Cartoon!, and also wrote and directed episodes of Dexter’s Laboratory, Cow & Chicken and Johnny Bravo. Hartman joined Nickelodeon in 1998 where he created and produced several cartoon shorts for the Oh Yeah! Cartoons series, including The Fairly OddParents. Commemorating the 10th anniversary of the animated series, Hartman brought the series to life in the 2010 live-action/CG animated hit TV movie, A Fairly OddMovie: Grow Up, Timmy Turner! The series came to life once again with the 2012 holiday-themed sequel, A Fairly Odd Christmas, drawing 4.5 million total viewers, and in 2014 with A Fairly OddSummer. Hartman is also the creator of Nickelodeon’s animated series Danny Phantom and T.U.F.F. Puppy. Nick Teams With NFL… Again!